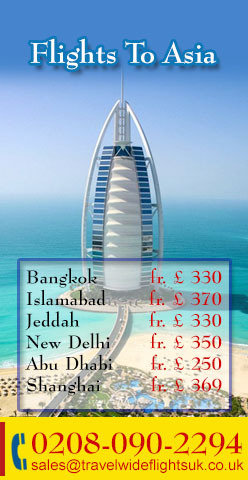 At the time of making a reservation and deciding to purchase flight(s), Accommodation, Car Hire, Hotel. you pledge that you are authorized to accept and do accept, on behalf of all passengers, the terms and conditions of making a reservation with us and agree to the booking conditions of any airline, contract principal whereby Travel Wide Flights is acting as an agent. Therefore, it is strongly advised that you take time to thoroughly go through the terms and conditions applicable to all reservations made with and payments made toTravel Wide Flights, as stated below. We have the right to fluctuate prices and rates in the event of amends in exchange rates or price increase made by airlines or by the other suppliers. In case the cost of any kind of service increases like exchange rate fluctuations, price increases, tax changes or any other reason, you are requisite to pay the additional amount when reported by us or you may withdraw the booking which may result in cancellation fees. We are not liable in case any further change is made by the airline. Rates quoted are suitable to the particular product at the time of quoting. The quoted rates may change earlier to the travel date. Prices of all the products are subject to availability and can be disclosed or changed without notice. These booking terms and conditions rule all bookings that you make with Travel Wide Flights. They will still fluctuate depending on whether you make a booking with us for a flight only or a Package, A "package" is a combination of Flight as one module and at least one of the following: transport or accommodation or one more visitor service, providing those two or more mechanism are sold to you at the same time at an comprehensive price with full sum being made to the Company. No matter which else constitutes "other holiday arrangements" or "Individual Components", If you book Individual Components with us, we will formulate the booking as an agent for the relevant supplier(s) and your contract will be matter to the supplier's own rules which could bound or rule out accountability to you, often in harmony with international conventions. Polices regarding the supplier's terms and the international conventions are available on demand in shape of Copies.No contract will come into subsistence between us until we consent to your booking as well as we receive your full payment in verified funds and issue a verification invoice. We have the right to decline, at our sole judgment, any booking. For online bookings, the contract will come into continuation upon approval of the booking conditions offered at the end of the booking method and once we have established your full payment in cleared funds. While making a booking, you verify that you have the right to accept these conditions on your behalf and of all members of your party and additional, for more then one person, you are making booking then you are liable for all payments due from each and every party member. Booking services with the company are at present only available to persons who are minimum 18 years of age. 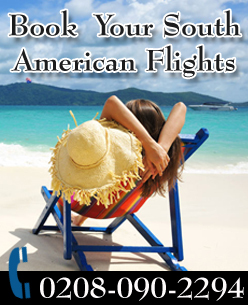 By submitting a booking you demand and confirm to us that you fulfill those arrangements. It is your liability to make sure that any information which you give us is exact and that information which is given to you by us or any of our suppliers is agreed by all members of your party. All contracts with the Company including all the matters coming from them are subject to English law and to the special command of the courts of England and Wales. All services existing are subject to availability. Under data protection act 1998, Travel Wide Flights is registered data controller with information commissioner's office and in order to process your booking and to make sure that your travel preparations run smoothly and meet your necessities, we need to use the information you provide like name and address, and any special needs/dietary requirements, etc. We take complete responsibility to make sure that suitable security actions are in place to care for your information. We must pass the information on to the related suppliers of your travel provisions like the airlines, hotels, transport companies, etc. May be the information provided to security or credit inspection companies, public authorities such as customs and immigration if essential by them, or as obligatory by law. You must need to assure that all information which you give is exactly right and the credit or debit card you are using is your own or you have their express permission to use it and that enough funds are available to cover the cost of the arrangements which you book with us. On assurance of your booking, we will charge payment from you and send you a verification invoice. From this point charges of cancellation will apply: Please consider that a telephone booking verification is as firmly confirmed as if it were verified in writing straight away. When you will receive the confirmation, please verify the details carefully and inform us on the spot, the very same day of the booking if anything seems to be wrong as it may not be amplify to make changes after that day. You need to provide us with required information in case you book online. You must also make sure that the credit or debit card you are using is your own and that enough funds are provided to cover the cost of the arrangements which you book with us. When we receive and accept your booking, we will send you a confirmation e-mail including invoice and debit payment from you. We do not make any illustration or warranty as to the accessibility of any package holiday, not the flight or Individual Components as well as not about that our booking services are free from infection of viruses or any kind of thing else that has a contaminate or destructive effect on your property. Deposits: £1000 Bookings or less, or travelling bookings less then 45 days will be needed to pay the full amount at the time of clarification. 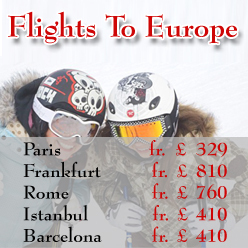 Above £1000 Bookings or travelling more then 45 days will be needed to pay a deposit of £200 per flight in advance i.e. at the time of clarification. The adequate amount will automatically be debited to the credit card provided. Any booking not deposited with us by this time will be cancelled without notification. Deposit conditions for definite accommodation and tour products may differ which are listed on the individual page. We will give advice you in writing of these conditions at the time of booking. Bookings over Festive Season such as Christmas and New Years requires a non refundable deposit of between £300 & £500, and final payment 60 days prior; as this is non refundable under any situation travel insurance is stoutly recommended. Bookings made less than 30 days before to travel: Bookings made within 30 days of travel must provide a credit card surety at the time of booking, if the booking is offered accurately as requested full payment will automatically be taken. Final payment for your travel arrangement is due 30 days prior to travel date. No tickets will be provided until final payment is cleared in our office. The conditions of final payment to confirm flights and tour details may differ. It's sure that the final payment may be different from the agreed booking price or quote if the product is subject to exchange rate fluctuations or price increment by wholesalers or other suppliers. A card fee will be applied automatically to credit card payment amounts: Surcharge fee of 3% to be charged on all Visa, MasterCard and 4% on American Express cards. Please note that Cheque payments will only be accepted for bookings traveling more then 50 days. There will be no fee charged to all the Payments made through cheque or direct deposit. Bookings cancelled inside 30 days are non refundable. Deposited bookings cancelled 30 or more then the period are prior to travel - Deposit is not refundable. You will be charged along with this and any cancellation fees. Fully paid bookings cancelled 30 days or additional period prior are liable to travel. Refunds of Credit cards and American Express will be less 3% and 4% fee as the card companies do not refund the fee. Flight Bookings are fully not refundable or transferable. Writing is must in case of cancellation and should be told to the advisor handling the booking. Charter Flights carry a 100% extinction fee both before and after ticket issue. Any money returned to Credit or American Express cards, the fee of 3% and 4% surcharge will not be refunded as this fee is in hand of the company. 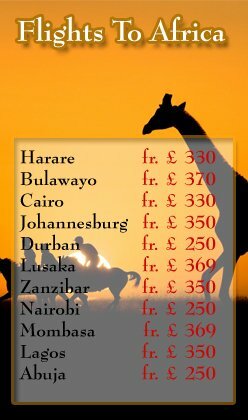 Special Cancellation Conditions: Definite accommodation and tour products will apply additional charges for cancellation. These cancellation conditions as well as costs are located under the pricing on the personal pages of individuals and will be purely suggested to you in writing at time of booking. Any changes made to confirm bookings will incur a fee; a fee of £35 on bookings of a value up to £1,000, a fee of £60 on bookings of a value over £1,000. Per amendment charges are applicable in the fees. This is more to any fees that may be levied by the supplier or even by the airline. Change Of Itinerary After Holiday Has Commenced: Any change or cancellation of services after your holiday has initiated can result in penalties. There is no refund for services which are unused.Reporting of Incidents: Unusual incidents like injuries, service problems and cancellation of a service or any sort of problem must be informed to Travel Wide Flights during the event to permit us a chance to correct the situation or provide assistance. Validity of Rates:Prices are applicable for the dates indicated. Currency: All rates are quoted in pound sterling, otherwise they to be indicated. 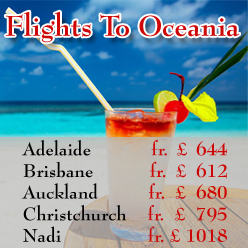 Payment Options:Travel Wide Flights offers a secure server for your card payments. Otherwise,you have an option to fax us details of your credit card, make a direct deposit or send a cheque. Using a card is the most commonly used mode of payment in online and telephonic reservations. We accept Debit and Maestro Cards. There are 0.5% surcharge on Debit card payments..
Credit Cards are acceptable as a form of payment. We accept Visa, MasterCard, JCB, American Express and Diners Club. There is a 3% surcharge on such payments, except for American Express and Diners Club Cards which will incur a 4% surcharge. * Third party documentation policy applies where the card holder name is different than the traveler. One may make cash payment in person or through transfer or deposit in bank. It is the quickest mode of payment for same day / urgent reservations. However, we do not accept cash payments through postal mail. Travelers may make cash payment in our office However; we strongly recommend one should call prior arrival for us to keep ticket / voucher and reservation in order. Traveler may deposit Cash in any HSBC's bank branch (please call and ask. When making a Cash deposit please quote your booking reference number. Please quote your booking number and name every time you send a our travel agents for company bank account number / details). There is a 0.85% charge on cash payments per 100 GBP.or your full name and make a notification call to your agent once you have paid in bank. It is very vital that you take out Tour Insurance. It is crucial that this insurance covers you for unintentional cancellation of your holiday and airfare(s). All insurance premiums are to be paid in full at the point of sale and are sold incorporate a 14 day cooling off period after which time some policies may be not refundable and you should check at the purchase time. The 14 day cooling off period only applies if you have not left the UK or made any claim under the insurance policy. On the dubious chance that we have to make any amends to your tour arrangements, we have the right to do so at any time. Most of these changes will be insignificant and we will suggest you of them at the earliest possible date. We also keep the right in any situation to cancel your travel arrangements. If we fail to give you the booked travel arrangements, you can either have reimburse of all monies paid or accept an offer of alternate travel arrangements of equivalent standard from us; if available. We acknowledge no responsibility for and shall not be legally responsible in respect of any loss or damage or alterations, delays or changes increasing from strange and unforeseeable conditions ahead of our control, such as war or threat of war, civil strife, industrial clash including air traffic control disputes, terrorist activity, natural and nuclear disaster, fire or unpleasant weather conditions, epidemic, technical problems with transport, closure or jamming of airports or ports, cancellations of schedules by scheduled airlines. All fares are in accordance to availability. Once a verification invoice has been granted, the price shown on that invoice may only differ as outlined below or if you amend you are booking. During every attempt is made to avoid surcharges, we have the right held in keep to pass on any cost add to levied by the suppliers. No add-on will ever be levied for air tickets after we got full payment in cleared funds and tickets have been issued. Prices may only be altered to emulate government action, increase in transportation costs, changes in dues and taxes (including VAT) or fees payable for services or to register fluctuations in exchange rates. In the case of increase in cost the company will soak up an amount equivalent to 2% of the invoice price and you will be bound to pay the remainder. In the case of reduce in cost of more then 2% of invoice cost, a refund will be paid to you. If you have any problems while your trip, it is necessary that you bring them to the consideration of the supplier and our agent or staff quickly it happens to give us a chance to confirm and sort out. If the problem cannot be solved, you need to contact us in writing, within 28 days of your return. If you do not increase the matter during your tour, this will influence any later claim you may make. We reserve the right to change the airline in the affair that the airline is blacklisted under the EU regulations. To the actual airline anytime after you have your tickets will be addressed to you quickly and in every case at check-in or at the boarding gate. It is your duty to check that all journey documents issued are right. The address for all credentials will be that given at the time of booking. Most airlines offer only electronic verification of your reservation, or 'e-ticketing', on certain routes. If you are touring on an e-ticket route we can at your demand provide you with a paper ticket where allowed. Where you make a request for a paper ticket, an administration fee of £30 per ticket will be levied in addition to any applicable airline charge. Changes in transportation costs, counting the price of fuel, dues, taxes or fees taxable for services like landing taxes at ports and airports and exchange rates, mean that the price of your visit arrangements may amend after you have booked. Anyhow, there will be no amending within 30 days of your departure. We will absorb any charges increases alike to 2% of the cost of your tour arrangements, which excludes insurance premiums and any change in charges. You will be charged for the quantity over and on top of that, plus together with an amount to cover agents' commission. We will consider an adequate refund of insurance premiums paid if you can show that you are not able to transfer or reuse your policy. Should you think to cancel for this reason, you must enjoy your right to do so inside 14 days from the concern date printed on your final invoice. In case you have any special requests, kindly advise us at time of booking. Malfunction to meet any particular request will not be a violate of agreement on our part. If you have any disability or medical problem which may result in your arrangements, you need to advise us in writing at the time of booking giving complete details. Unanimously, many foreign destinations do not have even nice facilities required by disabled visitors. If we feel not able to properly accommodate your special needs, we must keep the right to decline/cancel your booking. You convince that we may use Personal information given by you in order to conduct adequate anti- fraud checks. Personal Information that you gave may be showed to a credit reference or deceive prevention agency, which may need a record of that information. The thing is that we act only as a booking agent for the third party suppliers of your Individual Components; the main thing is that we have no guarantee if they are not efficient and do not we have any liability for loss, personal death or injury if incurred if not caused by our negligence. We have the right to record all telephone calls or record them randomly to make sure that our customer service is frequently reviewed. It is not always possible to comprise all departure taxes on your ticket(s). Somehow departure taxes need to be paid by you which you are leaving from and are non-refundable by us. These booking terms and conditions are authorized by English law and the courts of England and Wales, who is non-exclusive authority. Moreover your accommodation booking may also be need to local laws, customs and sensitivities, which may differ from time to time. PASSPORTS AND VISA REQUIREMENTS- You are liable for checking all these items and ensuring your travel documents are in order Passport and Visa: You must ask the concerned Embassy or Consulate for this information. Requirements may differ and you should check for superior position in good time before booking/exit. We admit no legal responsibility if you are rejected entry onto the flight or into any country due to malfunction on your part to carry the right passport, visa or other documents necessary by any airline, authority or country. You must need to have a passport which is applicable for six months after your planned date of return. You must make sure you have right visa and health entry provisions for all countries toured including countries you may just be moving through. The copyright on all original/custom artwork, maps, navigation elements, presentation methods and design elements incorporated in our web sites is held completely by Travel Wide Flights. 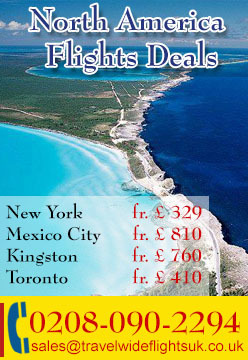 Copyright on all descriptive text is held by Travel Wide Flights. Copyright on selected photographic images is also held by Travel Wide Flights Where joint copyright is held over proprietary text or images, Travel Wide Flights reserves the right to follow all copyright infringements on behalf of the primary copyright holder. Where the copyright for a photographic image is held completely by a third party under license, Travel Wide Flights reserves theright to dynamically protect the copyright of those images on behalf of the third party. All HTML files used in Travel Wide Flights web sites are acknowledged to be proprietary software product developed for use by Travel Wide Flights only, and as such are matter to foreign intellectual property conventions. 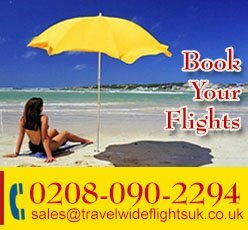 Please Contact us (info@travelwideflightsuk.co.uk) or 0208-090-2294 if you have any more queries about our security,privacy or data handling procedures.